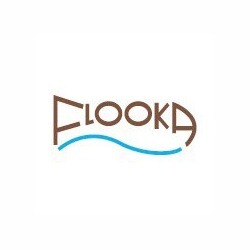 Flooka is a seafood Mediterranean style restaurant which offers a unique dining experience of the best in Mediterranean seafood with a Lebanese twist. Everyone can enjoy the daily catch on the terrace with uninterrupted panoramic views of the Arabian Gulf. Light wood ceilings and a combination of parquet and marble flooring give guests the relaxed feel of a real Mediterranean seafood restaurant. There is no doubt that Flooka is designed for seafood lovers: from the visual effect of the bar in Dubai, which is made to look like a wooden boat being built.